Documents can be uploaded by both staff and participants. Clients: Client document upload information. 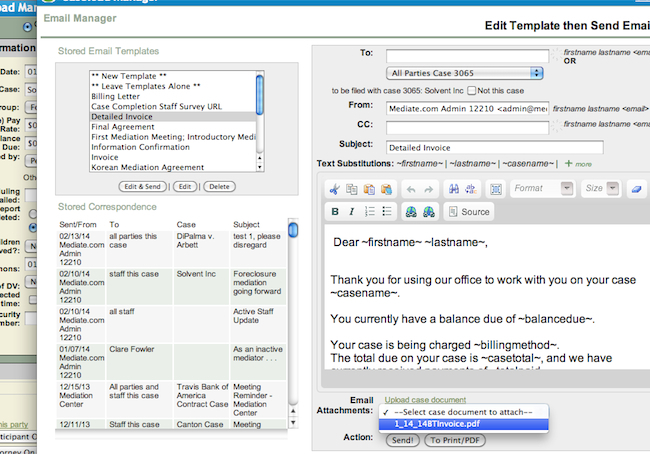 Staff: Staff can upload documents by opening a case record, looking at the mid-right of the screen in the documents section. There is a link that says "Upload Documents." When you click the link, a new window will pop open that allows you to upload documents. The upload attachment limit is 50mb per email. Once these documents have been uploaded into the case record, they can be attached to an email. If you click on mail directly from the homescreen, you cannot attach documents. You need to enter the mail manager from a case in order to be able to access documents. 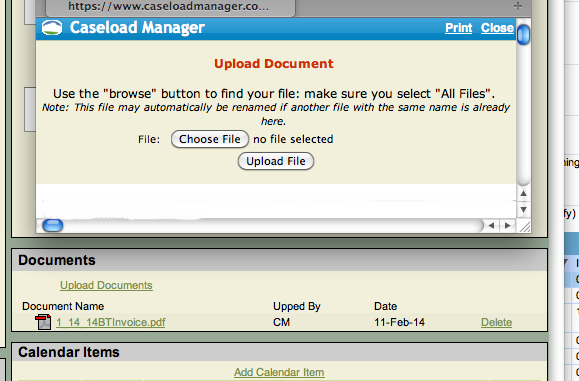 After you upload the documents into a case, you may click on the "Email" link inside that Case Record. Then type your email and add your documents. You will see your documents available in a drop down menu beneath the text of the email.